Navy SEAL Craig Simmons has pledged his life to serve and protect, so when this newest member of the Saint Squad observes a stunning young woman on the beach being shadowed by an armed man, he leaps into action. It doesn’t take long to realize his mistake, but it also puts him in a position to meet a very well-known actress, Sienna Blake. For Sienna, the timing couldn’t be more perfect—she’s preparing for a role as a CIA agent, and who better to help her prepare than a Navy SEAL? Craig and Sienna develop a lighthearted friendship, though both are aware of their growing attraction. Neither realizes, however, that a treacherous enemy is setting in motion a terrifying plan to destroy Sienna . . .
A series of near-fatal accidents on set are too close for comfort, and Sienna has been lucky to escape with her life—so far. Despite the rising danger behind the scenes, the show must go on. When the Saint Squad is enlisted by the FBI to safeguard Sienna on the ill-fated film set, Craig is driven to protect the woman he is quickly growing to love. As the list of suspects and motives grows, Craig and the Saint Squad will do whatever it takes to track down the perpetrator—before things turn deadly. Runtime Unabridged 7 Hrs. 30 Min. If you've enjoyed ANY of Traci Hunter Abramson's previous books, then you'll know that you can expect nothing less than what we've all come to love from our Navy Seals in the Saint Squad. Full of action, suspense, and heart-fluttering romance, "Spotlight" evokes energy and raw emotion while leaving you wanting for more! Craig Simmons is the newest member of the Saint Squad, a group of Navy Seals that are made up of mostly LDS. Craig comes to the aid of Sienna, a famous actress, or so he thinks he's coming to her aid. Turns out that the man following her with the gun is just her body guard. Sienna's grandfather has arranged for the Saint Squad to come and guard his family during his granddaughter's wedding. (Sienna's sister). Threats have been made in the past to the family and since her sister is marrying an FBI agent it would be best. As time goes on and as "accidents" occur, you see feelings develop between Sienna and Craig. You find yourself praying that she doesn't get killed before it's too late. 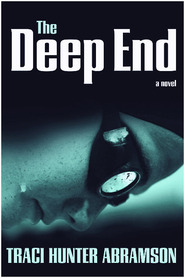 The suspense is a killer in this book, and you find yourself wanting to look ahead to the end. Traci, one again, did NOT disappoint! Once again I could NOT put this book down and stayed up until the wee hours of the morning until I was finished with it. Excellent book. This is the first book I've read in the Saint Squad series and it's fantastic! The Saint Squad is a team of Navy SEALs who are mostly LDS and share the same values. Craig Simmons is the newest member of the team. It doesn't take long for him to meet Sienna Blake, a famous actress who also has ties to the Saint Squad. It soon appears that someone may be trying to harm Sienna so the Saint Squad steps in to help and Craig and Sienna start spending more time together. I loved their relationship from the beginning. There was attraction but not insta-love and their relationship developed slowly. It wasn't smooth sailing and there was a misunderstanding which was quickly remedied. They are both likable characters so it was easy to cheer them on. Sienna is a down to earth actress trying to live a somewhat regular life and Craig is smart, strong, brave and, well, a Navy SEAL. I loved the pacing of this novel. It moves quickly and I had to keep reading to find out what happened. There are some twists and turns along to the way to a satisfying ending. This is the ninth book in this series but it definitely stands alone. It would be fun to read the other ones to get to know some of the characters better. I would recommend this to anyone that enjoys clean romantic suspense! Craig was just being observant. And soon the whole team is involved. A fun twist to send the team to Hollywood. Keep writing Traci--we want more! I LOVED this book! I will admit up front that I knew that I was going to. I have loved every one of the Saint Squad novels. They are all really well-written with tons of action and adventure. And don't forget they all have a fun, clean romance as well! This book is about Sienna Blake. She's been famous literally since the day she was born because her father was a famous actor as well. Her sister Kendra is a well-known singer. And Sienna herself is a movie star. She's come to Virginia Beach for two reasons, the first is that she has been cast in a new action movie, but the second is that Kendra will be getting married in a hush-hush ceremony that even their parents don't know about. One of the first people she runs into is Craig Simmons who happens to be a Navy SEAL. He is the perfect person to help her prepare for her new role in the movie. And hopefully he'll be able to figure out just what is going on with all of the "accidents" that suddenly start happening around Sienna. I loved both Sienna and Craig! Their characters are really well-written and it's fun to be able to see the world through their eyes for a little bit. I loved that there is tons of action in this book. I didn't want to put this book down for any reason so that I wouldn't miss what was coming next for these two. I will admit that I had no idea who the person was who was out to get Sienna, just like she didn't in the book and I was just as surprised at the end as she was. 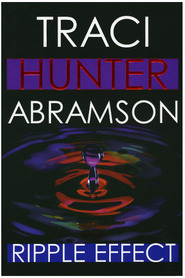 You really can't go wrong with a Traci Hunter Abramson book! And if you haven't read any of her other books, don't worry, you can read them in any order and they will still make sense, although I guarantee you won't want to miss any of the earlier books! Great Addition to This Series! I was so, so excited to read this book! I love the Saint Squad series and I love Traci Abramson's books. Happy is the day a new book comes out for me to delve into. Craig is the newest member of the Navy Seal team dubbed the "Saint Squad". He is still trying to find his place among this tight knit group of men. Craig is a defender. He takes his jobs seriously and he is dedicated. He just oozes all strong man, all the time. Sienna and Craig meet when Craig thinks he is saving her from a stalker guy on the beach. Oops, wasn't a stalker, but Sienna is impressed with Craig and asks for his help with her upcoming movie. I enjoyed the growing relationship between Craig and Sienna. It had a natural flow to it even though the circumstances were anything but normal. This book is a romantic suspense. It's not heavy on the suspense so even a "won't read scary" girl like me can read and enjoy it thoroughly. Content: Clean! No swearing or sexual content. LDS fiction- some religious elements mentioned as the characters are LDS but nothing preachy.